“And how are the children?” This simple question posed by an elder in Milwaukee, goes to the heart of building healthy communities. Honest and authentic engagement—the process of working collaboratively with those brought together by geographic proximity, special interests or urgent needs—is exactly what is happening in SE Wisconsin, all centered around supporting children and the caring adults in their lives. Stakeholders in this community engagement process are many and incredibly diverse: parents, caregivers, business leaders, church leaders, academic partners, museum directors, nonprofit leaders, policy makers, doctors and scientists. For true engagement to take hold, all must work together through partnerships and coalitions to mobilize resources and influence systems, and to serve as catalysts for changing policies, programs and practices. What does this look like in Milwaukee? Much like the diversity of shareholders, community engagement takes many forms. It is outreach activities in museums, discussions and proposals at school board and city council meetings. It’s inclusion in church bulletins, debate at barbershops and hair salons. It’s a scientist sharing the science of brain building with parents and caretakers. It’s op-eds in local papers and galvanized grandparents at senior centers. It’s a doctor sharing knowledge with new parents. It’s job training and job fairs created by local businesses. The coalitions and partnerships in Milwaukee illustrate how community engagement can be a powerful vehicle for generating environmental and behavioral changes that improve the health of the community and all its members, especially among the most vulnerable populations. Milwaukee still has a long way to go, but the vision for the future is clear, and that vision is applicable to all communities. It works like this: a healthy early learning community—not to mention an early learning nation—provides a continuum of high quality care—from prenatal support for new parents; brain-building efforts for infants; high-quality child care for infants and toddlers; and strong preschool and kindergarten programs. Building and cultivating a healthy early learning nation is accomplished one child, parent, neighborhood and community at a time. The concept of an “early learning community” can truly gain traction when stakeholders are able to learn from the research around child development and build quality relationships—with each other and with the children in their lives—thereby supporting the success of all children. Improving the long-term health of the community depends on enhanced individual (increased parent/caregiver interactions) and community engagement, with research—the science—at its core. Vroom, an initiative of the Bezos Family Foundation, has provided a centerpiece for many of Milwaukee’s community engagement efforts. Vroom is based on a powerful notion that “You already have what it takes to be a brain builder.” Vroom offers 1000+ easy activities for parents and caregivers, all based in science and available in multiple languages, that turn everyday activities between parents and caregivers and children into brain-building moments. Each activity is paired with a “brainy background,” that explains the scientific, child-development rationale about why this activity promotes learning and development. These are fun activities, personalized for children 0-5, that build on everyday moments: mealtime, bath time, bedtime and anytime. Vroom tips are available, free, through a mobile app, a text message service and online via PDF download from the vroom.org website. The Vroom Milwaukee Initiative provides many examples of community engagement campaigns to reach underserved families, integrate brain science into existing programs and support the overall goal of kindergarten readiness and thriving families. Through the exemplary leadership of Herzfeld Foundation President William Haberman and Senior Program Officer Leslie Seib, a new synergy has been forged to encourage community organizations to break down silos and build new collaborations across sectors. Vroom’s Brain-Building Moments have been layered into the work of more than 100 community groups and organizations, including Milwaukee Succeeds, a collective impact collaboration. Individuals, organizations and institutions across sectors have embraced “You already have what it takes” to promote the science. Hayat Pharmacy, an independent pharmacy chain founded in 2011, has a strong and strategic presence in Milwaukee. Its mission to build and support healthy communities has been achieved via creative collaborations with the Milwaukee Fire Department’s Community Paramedic program and the Homeless Task Force; the Betty Brinn Children’s Museum; the Children’s Hospital of Wisconsin; and most recently, by sharing the Vroom tips and messages such as “You Have All It Takes” to be a great parent and a brain builder. The Milwaukee Art Museum created Museum Moments Enjoy Art Togetheractivity cards for families to enjoy while visiting the museum to remind parents “you have what it takes to be a brain builder” while nurturing a love of art. Milwaukee Area Technical College and Milwaukee PBS hosted an hour-long special “What Matters Most: Your Child’s First Five Years”to emphasize the research and reinforce the importance of the parent/child relationship on brain development to promote language development, executive function skills and stress the importance of “serve and return” interactions between children and adults. VIDEO AVAILABLE HERE. A Milwaukee Succeeds Funders Collaborative grant enabled Milwaukee Child Care Alliance and 4C-For Children, two prominent child care alliances, to provide “Brain-Building Moments – Activating Vroom into Your Child Care Center” workshops to 100 child care centers to illustrate how valuable Vroom can be when shared with staff and with parents in the child care community. CTSI 500 Stars, college /high school students at the Medical College of Wisconsin, served as the Vroom Social Media Teamto translate knowledge into behavioral interventions. #VroomBabyVroom. What types of engagement is happening in your communities and cities? We’d love to hear your community engagement success stories! 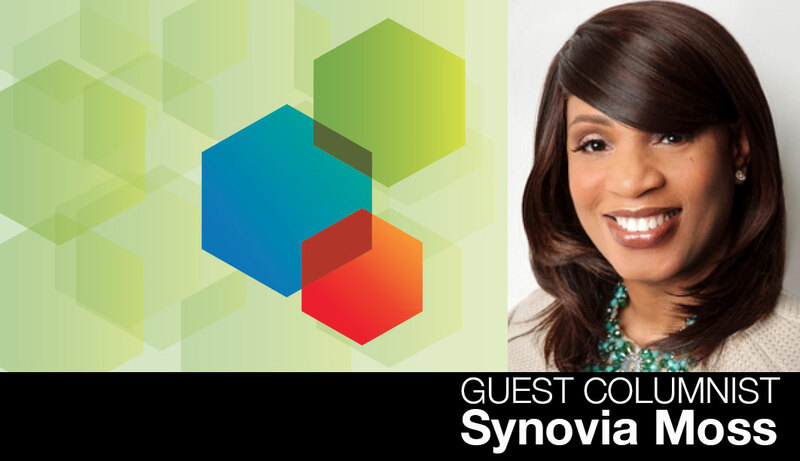 Synovia Moss is the Program Director for the Child Advancement Network (CAN) and Vroom Wisconsin Initiative at the Clinical and Translational Science Institute (CTSI) at the Medical College of Wisconsin (MCW) focused on narrowing the achievement gap in Southeastern Wisconsin. She leads the charge to introduce Vroom, a national initiative of the Bezos Family Foundation to introduce the importance of brain science in communities focused on how the science is reaching parents, strengthening their skills and empowering both organizations and parents for collective impact.